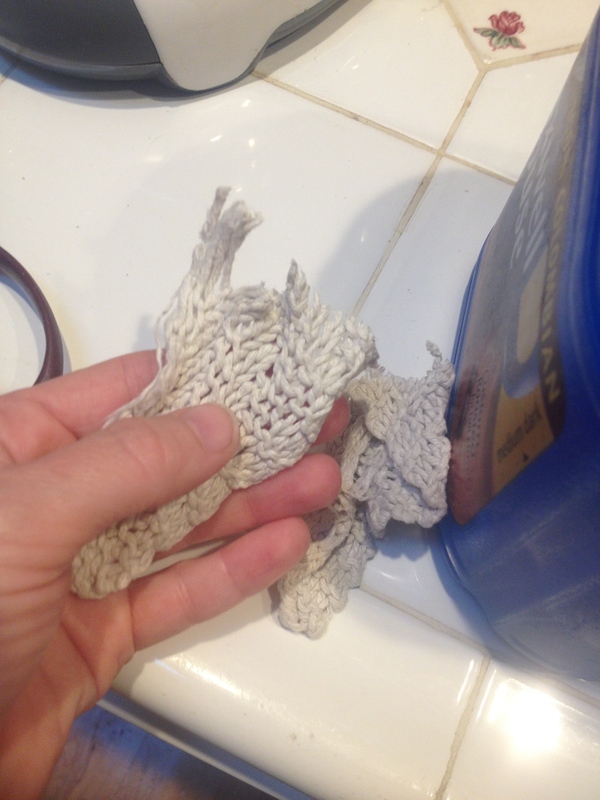 This dish cloth has seen its last days. Rather than trash it, I cut it up and put it in the compost as it’s 100% cotton. My husband lovingly brings me home gifts multiple times a week. 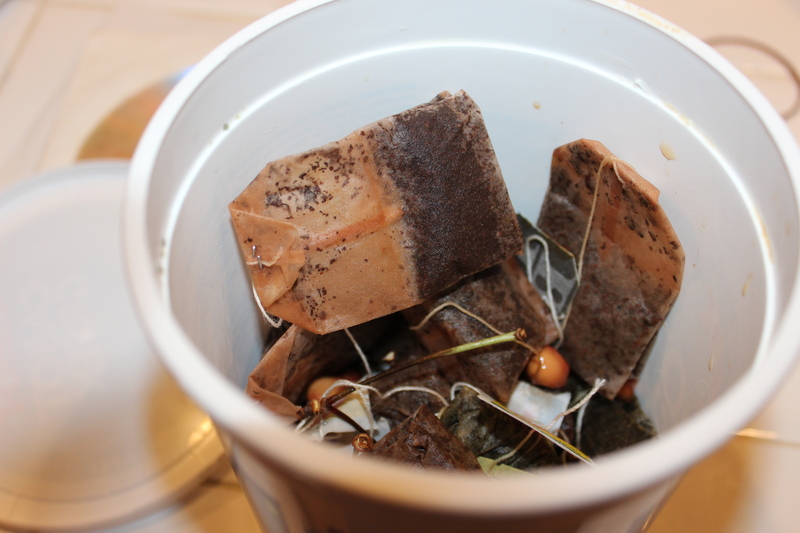 They consist of compost he collects from the office, his used tea bags, mainly coffee grounds he takes from the machine and out of the trash can. I’ve never felt more loved. So, there is this huge pile of sticks and leaves in the back yard. I have no idea how long it’s been there. Years? It’s right along the edge of the woods. 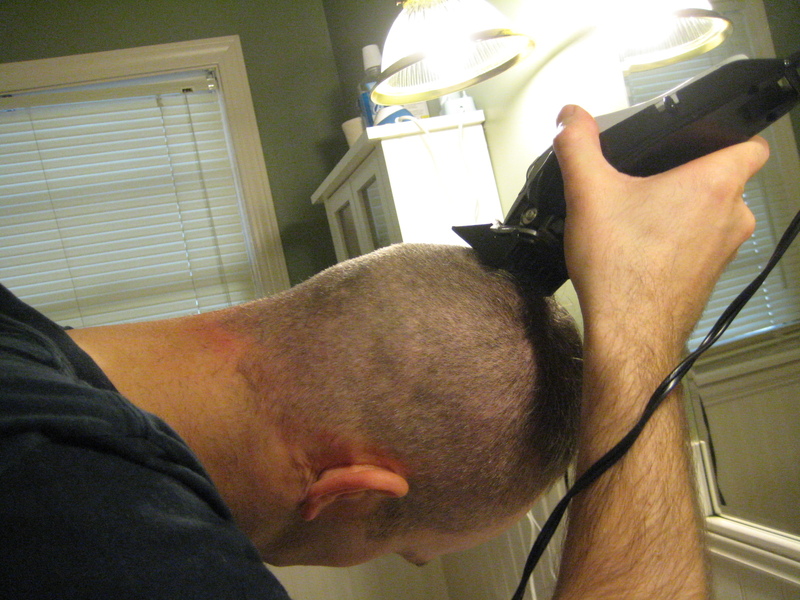 While Mr. Wonderful mowed the grass, I broke up sticks so we could create a fire and placed the leaves in the diaper compost. Lo and behold, look what we found! 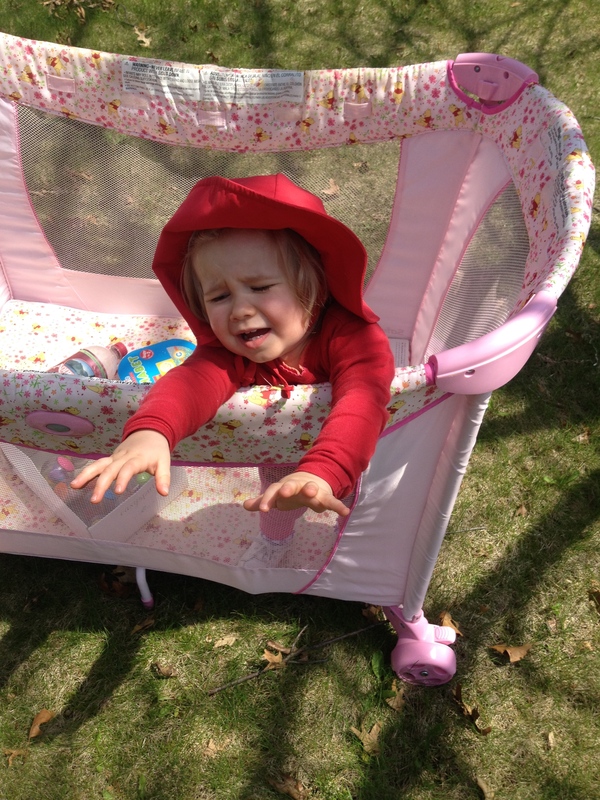 How else does one do yard work when the baby won’t nap? Humm…diapers that compost. Diapers that will disappear over a short period of time and leave nothing behind. Zero waste. 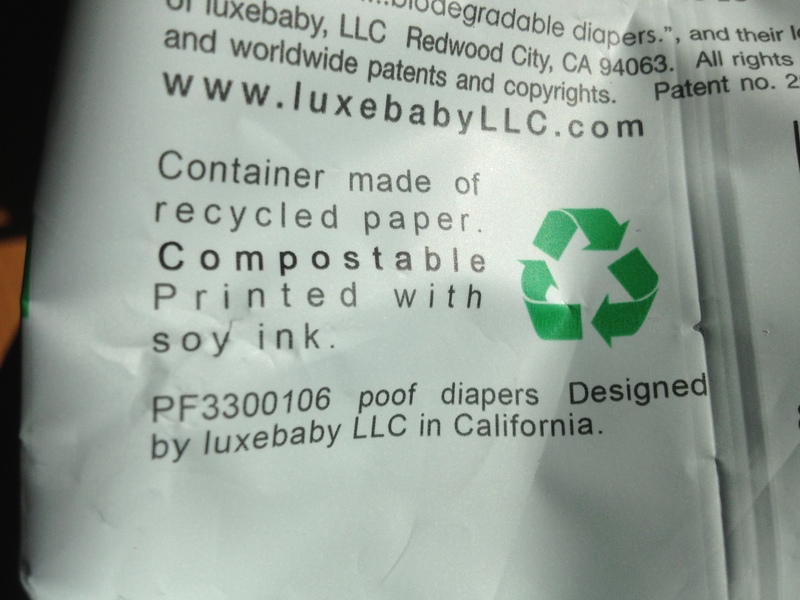 I’ve found very few packages that make the claim their diapers are in fact, compostable. Most green-washed diapers claim “biodegradable and better for the environment.” How so? Biodegradable does not mean compostable. 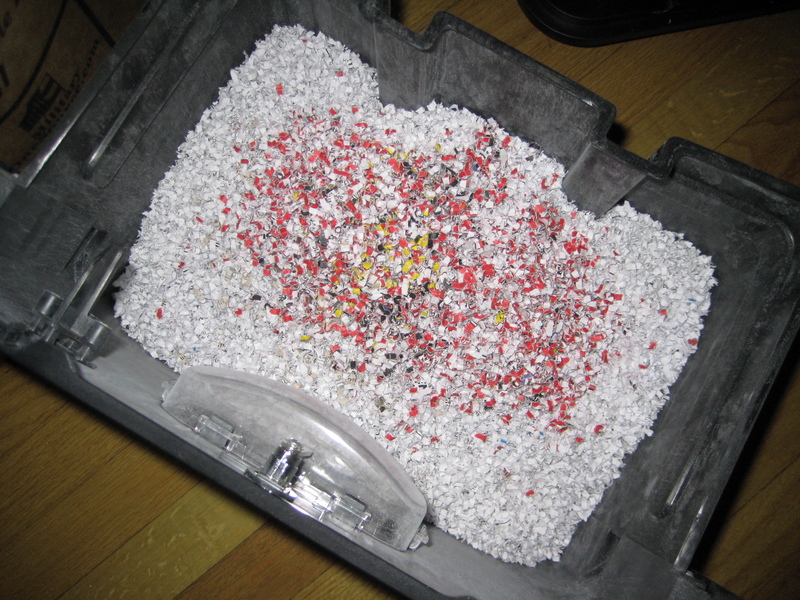 Biodegradable means the plastic and diaper pieces break down into tiny bits of plastic and stay around forever. Hell, they probably end up in the plastic soup in the sea. Plastic soup you say? Google the Great Pacific Patch and see what you learn. Hmm, really? Because this packaging looks more like potato chip packaging that cannot be recycled. But composted? I sent this one in to Terracycle instead. 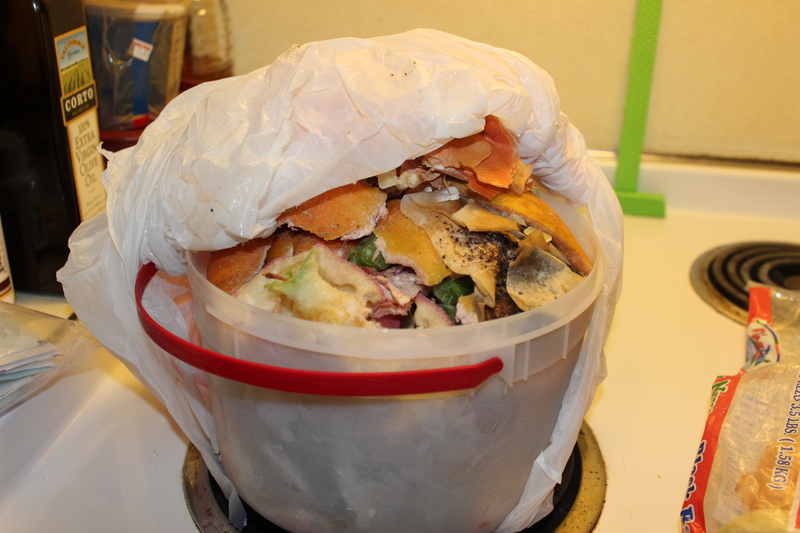 Just a few pictures of our hungry compost and what we fed her at the last house…. As the compost bin fills at the new house, I’ll post those too. How is your compost looking these days? 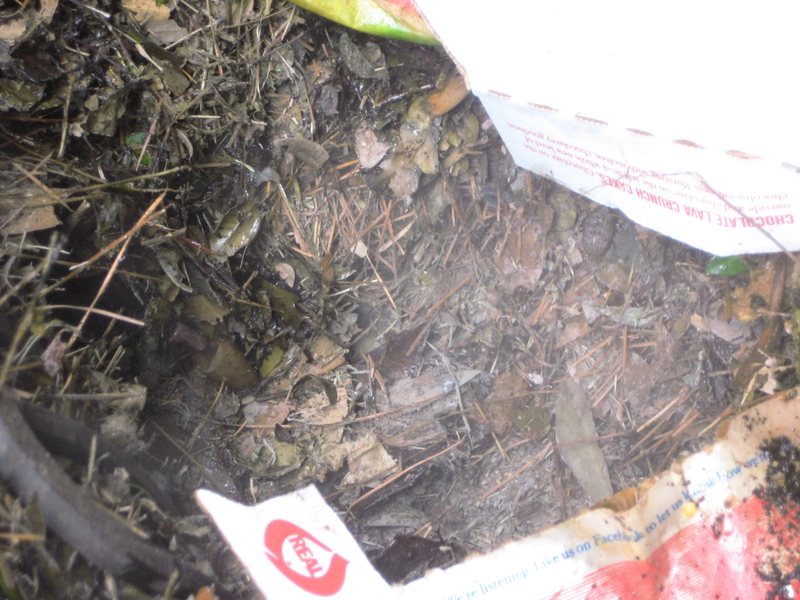 What does your compost look like? I never knew much about composting until I got married. Since then, I’ve discovered them everywhere. Do any of these look like yours?